Biotech companies claim their products are key to solving hunger, but the Pope knows this isn’t true. No commercial GE crops are engineered for increased yield. Five of every six acres of GE crops are engineered for herbicide-tolerance, i.e. to survive being drenched with what would normally be a toxic dose of herbicide, usually Round-up, or glyphosate. The Pope’s message couldn’t come at a better time. Pesticide use is at an all-time high. The U.S. Department of Agriculture says glyphosate use on corn and soy increased from 10 million pounds in 1996, the year Roundup Ready crops were introduced, to 204 million in 2013. The U.S. Geological Survey routinely finds glyphosate in our water. The Word Health Organization just declared glyphosate a probable carcinogen. Pesticides have already made our Earth less rich and more gray by nearly wiping out monarch butterflies, which have declined by 90 percent, largely because increased glyphosate use has wiped out the monarch’s sole host plant, milkweed. Pesticides are a leading cause of our current pollinator collapse. With one-third of the bites we eat requiring bee-pollination, many world leaders, including President Obama, are waking up to the need for action. 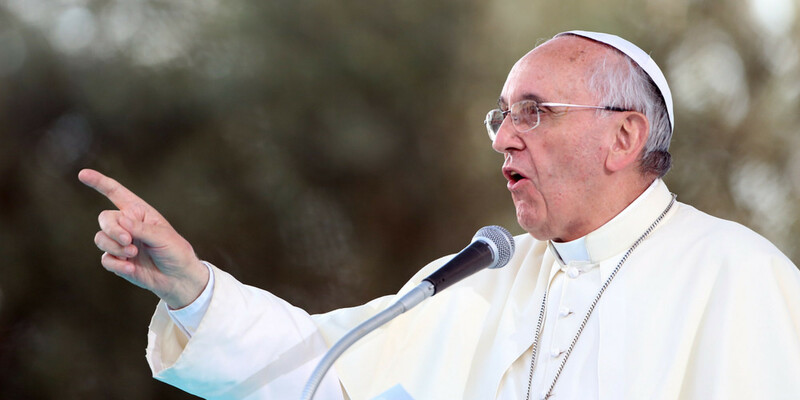 Like Pope Francis, I believe protecting the Earth is our moral imperative. With this encyclical, the Pope reminds us that our fates are intertwined with all species, and calls us to action. This article was republished with permission from Health Nut News.